The City of Boonville currently owns and operates two Cemeteries. The Cemeteries are under the supervision of a Sexton who, by Ordinance, is the Director of Parks for the City. There is also a five member Cemetery Board who are appointed by the City Council for terms of five years. The Cemetery Board is an Advisory Board which meets during the months of January, March, May, July, September and November, on the fourth Thursday at 3:30 p.m. in the City Council Chambers, City Hall. The meetings are open to the public. This is the oldest Cemetery in Boonville dating back to before 1835. It contains 11 acres and is the final resting place for many of the early pioneers who were responsible for the early development of Boonville. Originally platted as the “Methodist Cemetery”, ownership transferred to the City of Boonville in 1844. Sunset Hills is located at the West end of South Street. 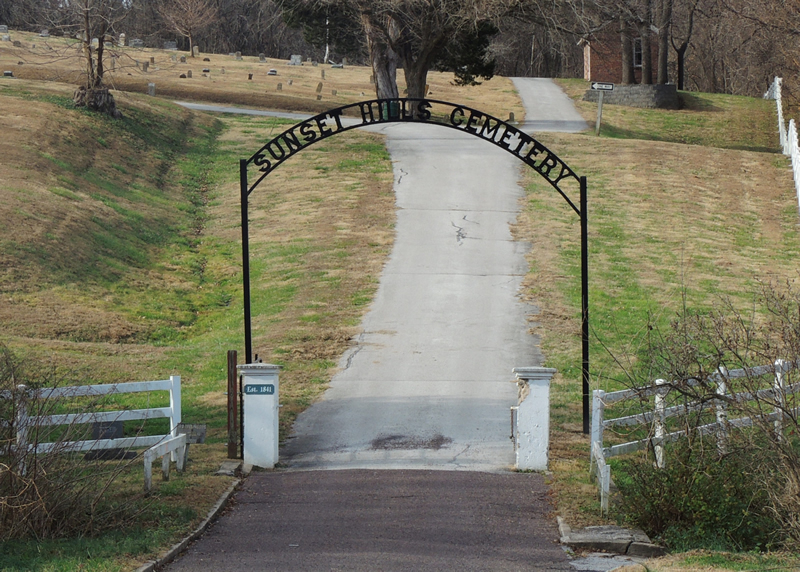 Sunset Hills was closed to burial lot sales in 1985. Burials are allowed in family owned pre-purchased lots only. Established in 1985, it is the newest Cemetery. Memorial Gardens is comprised of approximately 10 acres and located on Cherry Street. The Cemetery is open for burial lot sales to the community at large. 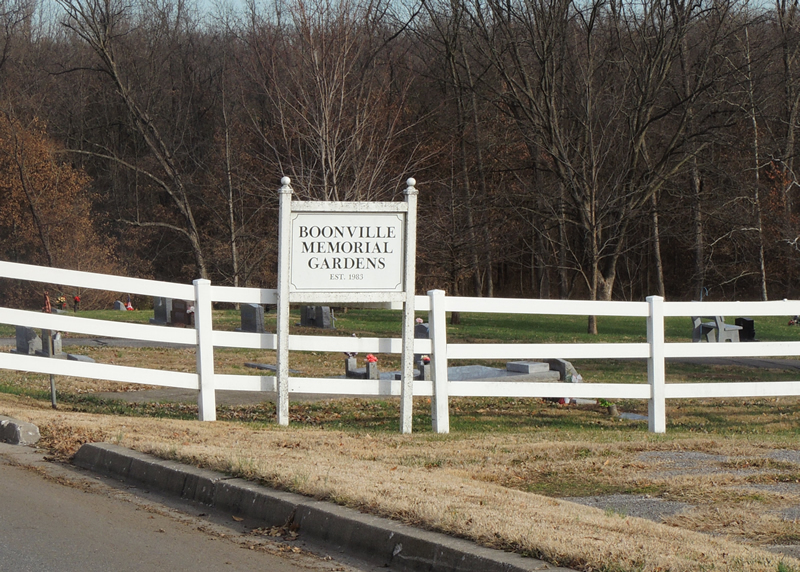 In accordance with Section 6-10, Code of General Ordinances; Persons wishing to purchase lots in the Boonville Memorial Gardens may, upon application to the city clerk and upon payment to the city clerk of the price of the lot, obtain a certificate of conveyance for such lot, properly signed by the Mayor and countersigned by the City Clerk. Sale of land shall be by single space, four (4) spaces 9 half lot) or eight (8) spaces (full lot). Cost shall be $125.00 per space for single spaces, $500.00 for four spaces or $1,000.00 for 8 spaces. If any person desiring to bury any corpse in the City Cemetery shall be unable to pay for grave space in the cemetery and the cost of digging and filling of the grave, and shall satisfy the Mayor of City Administrator that he is in fact unable to pay the same, the Mayor or City Administrator shall issue an order in writing, authorizing the burial of said corpse in the Cemetery at a place to be designated by the City Clerk, and directing the grave to be dug and filled at City expense. Pauper burials will take place in Section M, Boonville Memorial Gardens Cemetery only. All grave openings and closings, except duly approved paupers burials, will be performed by private contractors at the sole expense of the grave space owner, his family or other representative. In accordance with Rules and Regulations established by the Cemetery Board and approved by the City Council, all burials at both Cemeteries will be in a concrete liner at minimum. Direct burial of the casket or wooden burial vaults are no longer allowed.